My series for the month continues as I join up with Lisa-Jo Baker for Five Minute Friday. Here’s the deal. I think I can count my friends on my fingers. I mean really good friends. Or just friends, actually. I haven’t been friends with the same person since we were three. I don’t have an endless contact list or a four digit Facebook friends group. I’ve never had a big circle. Mine has always been intimate and small, consisting more of family than people from the outside. I somehow thought this would change as I grew up. I thought friendship would come more easily. I thought cliques would disappear. I thought I’d belong. But guess what, the friends I have would do anything for me. We do life together. Want to hear about them? My husband. Yes, he is my number one friend. I thought this was kind of weird for a long time, over a decade in fact. That is until someone asked me if I’d rather have a big circle of girlfriends or my husband. I pick him. Every time. My mom. Best friend. Seriously. She’s the one I call with everything. She seen me at my best and at my worst. She’s seen who I was and who I am (and I have a feeling she has an idea of who I will be) and she still loves me. Sometimes people think it’s strange to count my mom as my friend. I’m good with strange. My dad. Never did I think I’d be so lucky to have one as great as him. That’s all I can type without tears. My brother. An only child for 15 years, and then he came along. And boy am I glad he did. We have a knowing between us. I like that. S. I won’t name her, though she’ll know. We couldn’t be more different or more alike. We’re in the same boat paddling upstream most of the time. When we talk about it (or type about it) we can put down the oars for a minute and drift (or dive in). Her family is an extension of this friendship and for that I am grateful. C. We met on one of my least becoming nights, yet she stayed. She moved in a stranger and will forever have a place in my heart, no matter where she lives or how long it has been. A. Another friendship forged through spouses that I am grateful for every time we have the chance to talk. Finding out more of who she is helps me see how friendship grows deeper. It may have taken awhile, but we got there. Her family is a bonus. Are there more people who I know? Of course. Are there more people I am friends with? You bet. But these people, these are the ones that I do life with. Day in, day out of my heart, together. I always thought friendship would look different, and it does. These are the people who make me feel like me. Take a few minutes and think about the people in your life. Think about what they mean to you. Chances are the reminder will bring the exhale. I know reading about my friends may not bring your exhale. But it’s part of my dance because they are part of my ink as much as these words. As you dance think about who is part of yours. And a confession….this took longer than 5. What a lovely name – “My Ink Dance” 🙂 I’ve been writing only since last 3 weeks or so but I love FMF. Like you, today’s also my 25th day for a blog writing challenge. I have missed a few posts for the challenge due to some website problems but already have the drafts and just have to post them so till 31st, I’ll have 31 posts. 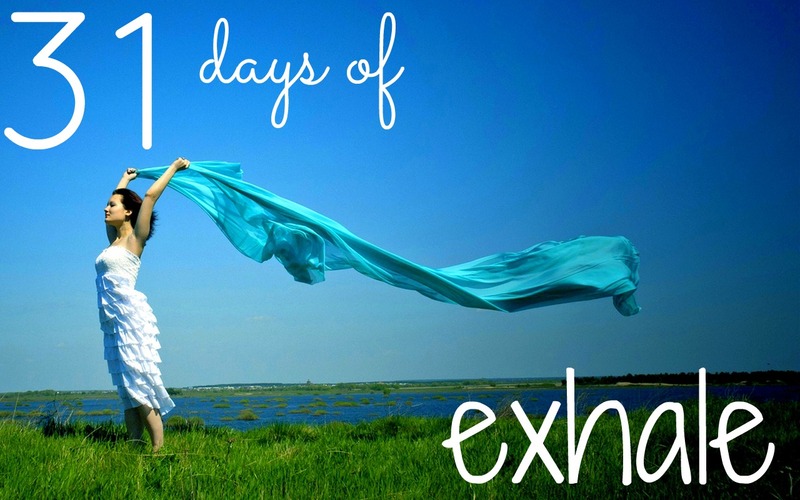 Coming from today\s FMF prompt, I’ll visit your 31 days of exhale in a while. Lovely, Becky! My husband is my best friend. I can relate to your words. Happy Weekend!